High Wycombe, March 6th, 2014 — At JEC Europe from 11 to 13 March 2014 in Paris, Instron will be showcasing at its booth Q76 Hall 7.2 advanced testing systems and accessories for determining the mechanical properties of composite materials and fiber composite parts. 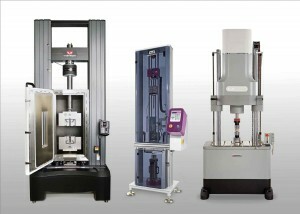 Providing high precision, measuring accuracy, and repeatability of test procedures, the systems are ideally suited to the challenges presented by these materials, with their unique strength to weight ratio, low strain at failure, high stiffness, and pronounced fiber directionality. 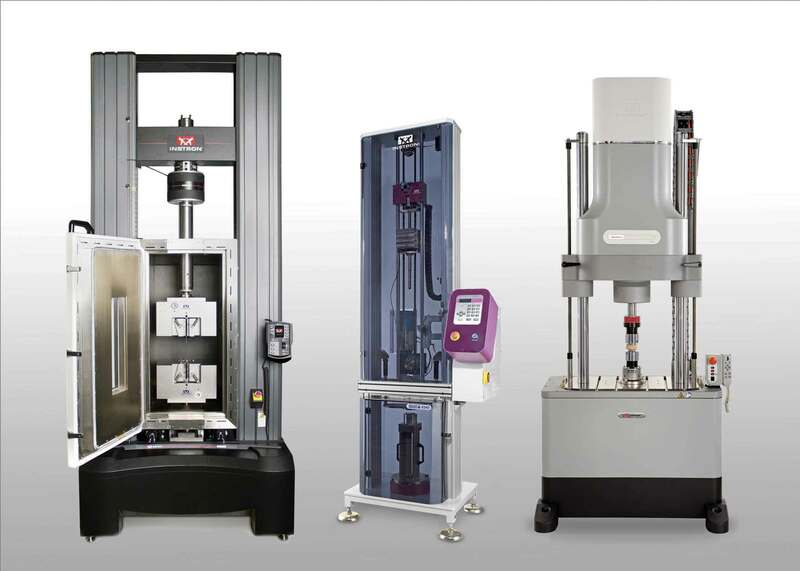 Thanks to their versatile capabilities, these systems provide highly reliable data from tensile, compression, shear, fatigue, and impact tests. As an example of its wide portfolio of testing systems for the composites industry, Instron is presenting at this year’s JEC Europe a Model 5980 floor-standing universal testing system specially equipped for performing measurements on composites. With nominal load capacities up to 600 kN and a sturdy, high-stiffness frame, these systems are an excellent choice for testing carbon or glass fiber reinforced plastic materials and aeronautical or automotive structures. They can be combined with Instron’s newly developed manual wedge grips, providing repeatable, high precision, reliable alignment of specimens in accordance with the stringent requirements of NADCAP guidelines AC7101 and AC7122-1. Visitors to the show will be able to see Instron’s new Digital Image Correlation (DIC) Software. This new combination of hardware and software is designed to optically detect strain and displacement within a defined area on the surface of specimens or components exposed to loads, and visualize these in real-time on a computer screen, so that they can be traced over the entire duration of the test. Image and calibration data is supplied by an Instron Advanced Video Extensometer (AVE). The associated DIC software provides visualization and also saves the data at an adjustable rate of up to 50 Hz in the form of individual images for subsequent analysis in post-processing mode. The software runs independently of other programs, and leverages the graphical layout and tabbed style of Bluehill® Materials Testing Software – making the user interface familiar and easy to use. For dynamic and fatigue testing of composites, Instron will be exhibiting an ElectroPuls™ E1000 all-electric test instrument with a nominal force capacity up to ±1 kN, designed both for static testing at low speeds and high-frequency dynamic testing at several hundred Hertz. With its patented, oil-free linear motor technology, the system specifically supports clean working conditions. Coupled with the ElectroPuls system is Instron’s Specimen Self-Heating Control (SSHC) – a powerful add-on for WaveMatrix™ Software. This module is specifically designed to increase throughput and consistency during fatigue testing of composites by optimizing the test frequency. With an easy to use interface, SSHC allows users to simply set and control a target temperature to within ± 0.5°C, based on a specimen temperature input from a thermocouple or infrared thermometer. A stable temperature is maintained throughout the test by automatically adjusting the test frequency. The range of exhibits is rounded off with an Instron CEAST 9340 drop tower designed to deliver 0.30 – 405 J (0.22 – 299 ft-lb) of energy which allows to evaluate the impact resistance of composite plates performing Compression After Impact (CAI) test. In addition, the system is equipped with the DAS64K, with a selectable sampling frequency up to 4 MHz, for simultaneous acquisition of up to four independent signals. Instron systems evaluate materials ranging from the most fragile filament to advanced high-strength alloys, providing customers with comprehensive solutions for all their research, quality and service-life testing requirements. Additionally, Instron offers a broad range of service capabilities, including assistance with laboratory management, calibration expertise and customer training.